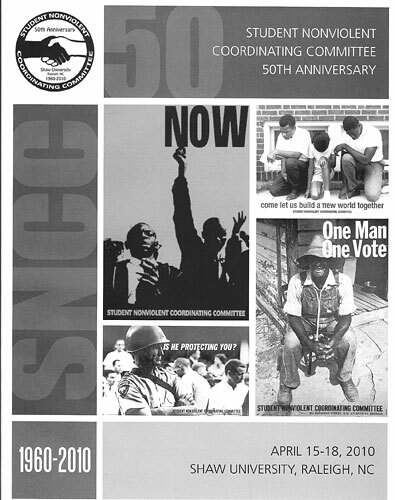 Copies of the Conference Program Book are available for $10 per copy plus $4.00 each shipping by mailing a check made payable to "SNCC 50th Anniversary Program" to: Sharlene Kranz, 3114 Wisconsin Avenue NW, Suite 403, Washington, DC 20016. Cases of 30 copies are available for $300 plus $21. shipping.